Pastor Eliud Gwamna Mshelizza of the Living Faith Church, a teacher with the Government Girls Secondary School Shaffa alongside 17 others were killed in separate attacks on Wednesday September 24th and Thursday September 25th after Boko Haram members launched an attack on Shaffa and Shindiffu villages of Hawul LGA in Borno State. The sect men were said to have arrived Shaffa at about 8pm on Wednesday September 24th and after ravaging the village, proceeded to Shindiffu village on Thursday September 25th. They burnt down about 10 churches including E.Y.N No:I, E.Y.N No: II and III in both villages. 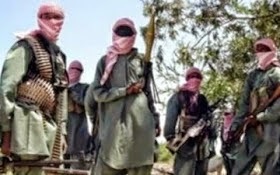 Many of the sect members were however killed by Nigerian troops who came in from Adamawa and Biu during an ambush as the Boko Haram men were leaving the villages after the attack.